After the NY Marathon dust has settled, I’m finally sitting down to write a little about my NY Marathon experience, the future of my marathon career, and some very exciting news that happened at a race I didn’t run. We’re just 16 days out from the NYC Marathon! I just got my official race handbook in the mail yesterday. While I’m super excited for race day, I think I’m equally as excited to taper. When I started training for my first marathon last fall, I read every blog and website there was about training schedules and preparing for your race. I came across a lot of articles about tapering, but every one seemed to suggest something different. The basic idea is to start tapering your runs as you get closer to race day, to give your muscles a break and start the marathon with fresh legs. On the one hand, it makes sense. On the other hand, I was quite concerned about how much stamina I’d lose without doing any super long runs for the last few weeks of training. Despite my trepidations, I followed my plan last year and discovered tapering is the best thing ever. More than ever, I’ve packed my race calendar with lots of events this fall. But one I had to squeeze into my calendar is the Multiple Myeloma Race for Research. This will be my fourth year running in the Philly MMRF event. The Race for Research Series has raised over $17 million world-wide, with over 90% of proceeds going directly to research and patient programming. Multiple Myeloma is a highly fatal form of cancer than infects your plasma. My uncle passed away from this disease a few years ago, and I am honored to run this race in his memory. I hope you’ll consider supporting the cause by donating here. While there are lots of shorter races coming up this season, the big one is less than 5 weeks away! 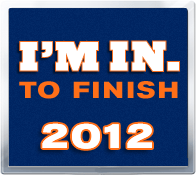 Monday marks the start of my official training for the NYC Marathon. This time around, I’m going with the Runner’s World 16-week plan, found in the June issue. It’s pretty similar to what I planned out for myself last year for Philly. But it integrates more hills and more intervals, both things I’ll need to work on for New York. My goal is sub 4:30. Ideally I’d like to run under 10 minute miles, which comes in at 4:22. It’s totally doable if I stick to the plan and don’t burn myself out before race day. 17 miles down. How many to go? !